Hello everyone. CEO Olivia here. Recently I was complemented on my blog. But also a good question was asked, “Why don’t you promote your products more?” I’ll try to answer that. For those who have followed my blog you know that we focus a lot on canine health; especially canine epilepsy awareness. We do this because I live with canine epilepsy & I sincerely want to offer help & guidance to others who live with this disease. On my Facebook page my huMom & I have connected with many, many families who also live with canine epilepsy. We are constantly learning new things which we share here. Knotty Toys For Good Dogs came into being because my huMom believes all good dogs deserve a healthy all natural toy, free of synthetics, dyes & chemicals. I personally need such toys due to my epilepsy. Hemp was chosen because it is chemical free. Our Knotty Toys are made from hemp grown in Hungary & Romania. We buy our rope “raw” so it remains rough & smelling wooftastic. It’s great for cleaning teeth while you chew. To answer the question, I guess we want to be something more than just another dog toy company. It’s important to us to be socially conscious & be able to offer help & support so that all good dogs are healthy, happy & loved. So that’s why we don’t just talk about how wooftastic our toys are. Now you know. 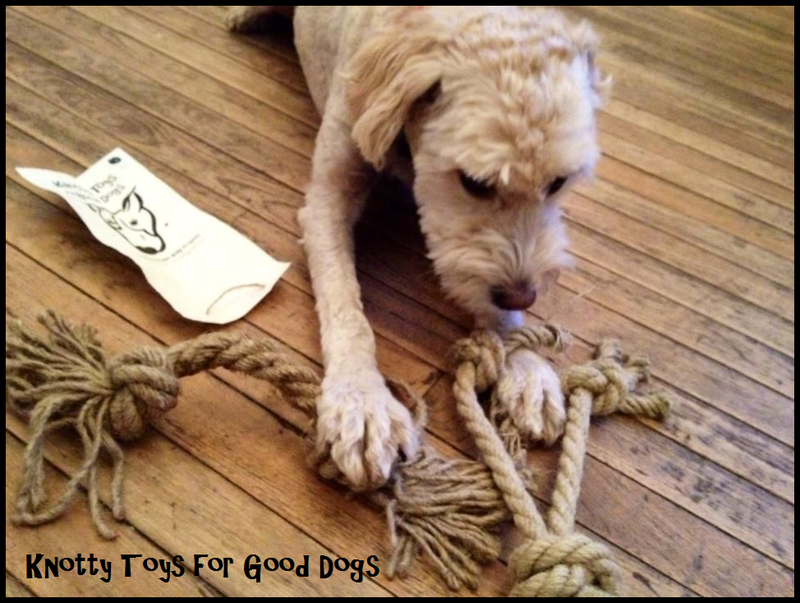 Knotty Toys for Good Dogs. The healthy, all natural alternative to synthetic or chemically treated toys. I have supplied humans with epilepsy with cannabis products for many years and only recently got my first doggie client. Dogs (and all mammals) have the same endocannabinoid systems as humans so it stands to reason that cannabis would work for them too. But I understand your retinence to blow your own horn. I always fear the health info will get lost in a “sales pitch.” I want to order your products for my furry kids! Strength to your clients both human & doggie! Send us an email if you would like to purchase wholesale for your fur-clients. Thanks for the info and support! I am looking for pets products to add to our line of cannabis goodies!